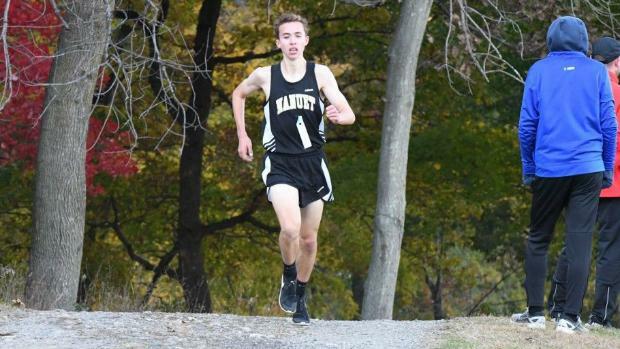 2018 New York State Sectional Blowout: All Race Breakdowns! For most of the public school New York teams, the season all comes down to the Sectionals meet this week, from which close to 80 teams will advance to the States championship, along with around 400 at-large runners. Some of the races are very one-sided, but there are many others that will get a lot of coaches' fingernails bitten way down over the next few days. These are races which are projected to be in almost a dead heat, and we are pointing out likely candidates with the help of a little (okay, make that BIG) hot pepper. Apologies to all the speedy runners who do not quite fit in the Top Runners list for their section, but we needed a limit. For those left out, use the horrendous slight to crush one at Sectionals. As always, please note that neither the speed ratings based listings of teams nor the 5K time virtual meet scores are meant to be exact predictions of how a race will turn out since there are many unknown factors at work here. But if they do end up being right, then oh yeah, definitely, we nailed that pick absolutely.